What does an Urban Float Franchise Cost? Urban Float t is a national leader in an industry primed for exponential growth. 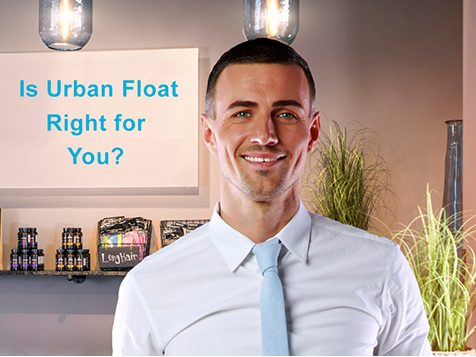 Urban Float focuses on providing floaters with a superior experience. We have meticulously designed retail float centers and cutting edge floatation tanks. Our commitment provides our clients with excellent customer service that leaves them wanting to come back. Floating is nothing but relaxing. During your float, you are suspended effortlessly in a super saturation solution of Epson salt and water. The floatation tank is light and sound controlled, which reduces sensory stimulation and effectively suspends the effects of gravity on the central nervous system. Along with this controlled environment, the water is set at skin temperature. After a few minutes of effortlessly floating, you lose awareness of where the body ends and where the water begins. It’s truly an amazing experience! This calming environment creates reflective changes within the mind and the body. Floating improves the overall function of the brain the central nervous system. It may seem like magic after the first time you try floating, but this sense of relaxation is backed by more than 30 years of scientific research in human performance and wellness.